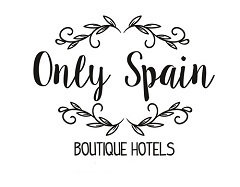 Are you looking for a special Boutique Hotel in Spain? Our collection will help you decide which gorgeous Spanish Hotel or B&B is for you. Is it a short-break, a holiday, a family get-together or a small wedding that you are planning? We have personally chosen some of the loveliest hotels for you. Let us help guide you to find your ideal place to stay. We research and visit all these stunning properties so that you can make the best choice in less time. Not sure which is the right Spanish Boutique stay for you? Let us help you via our Trip Planning service. We search for small, usually owner-run delightful stays, whether you’re after top class, quirky, chic, or rustic all are unique and have their own charm. We vet and visit them before adding them to the Only Spain collection. Come and explore Spain – the incredibly diverse, culturally rich country we call home – beach or mountains, relaxing or partying, for romance or for groups – let us find the right Boutique Hotel in Spain for you. Fancy a road trip staying at gorgeous hotels along the way? Our Trip Planning service can arrange it all so you don’t have to.